For anyone who used their ink jet printers for more than two year they may have come across an error message when they try send a document to a printer ” communication error and a recommendation to contact the service division of the respective printer company. When you dial the toll free number of the printer company , they will insist on taking the printer to their service division rather than preferring an on site support for the issue . You take the printer to them , they will return the printer on next day with an explanation of the component replaced and the justification for the amount they are going to charge you. Most of the time , these explanations are relatively far away from the actual reason behind it . What is the reason behind the so called communication error in your printer ? Your printer companies usually have a counter mechanism as part of the electronic circulatory that counts the number of prints you make from the very first day you begin to use the printer. The basic aim behind this counter is done in good faith . These counters are called protection counter , They are part of your printer because on the time of printing process , you may be noticed that your printer head is moving to the head service area to clean the print head from excessive inks that accumulated on it. So when ever you are using the printer , the printer ink pad is filled with the ink. So after a continuous use for a long time the ink pad will be dmaged to a point which it will stop absorbing further ink from the print head and the ink spill can damage the circuitry also. So the protection counter act as a protection against this situation . This communication error message ensures that you will bring the printer to the service division to replace the damaged ink pad. After the ink pad is replaced they will run a propitiatory software designed for that model of the printer that will access the EEPROM area of the printer to reset the counter. Here is the catch. They can run this counter reset program even with out replacing the ink pad and all they have to do is to answer a question on the software about did you replaced the ink pad to YES and they are not going to report any of this situations to customer. Most of the service centers see this as an opportunity to collect cash from the customer by just running the counter reset program with our replacing the ink pad thus defying the basic purpose of the Protection Counter . There are numerous softwares available over the internet which will do this job of resetting thus making your printer fixed . But it is not a long term solution for your issues . 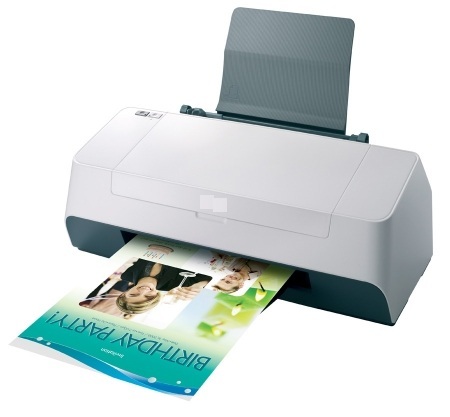 You are expected to replace the ink pad for reliable and smooth operation of your printer . So the next time you face a communication error on your printer and taking it to a service divison to fix it ,make sure you ask the service person this the ink pad replacement and sure enough it will be done as the service staffs knows they are not talking to a layman.